December 1st, 7pm. "23rd Annual Sarasota Holiday Parade". Kick off the season with this Holiday tradition. Bring a chair and watch from anywhere along the parade route, which is along Main Street, from 301/Washington Blvd. to Gulfstream Avenue. All that you would expect from a Holiday parade, and of course, Santa himself! December 1st, 8th, 15th, 22nd, 29th, 7am-1pm, Downtown Sarasota Farmers Market. State Street and N. Lemon Avenue. Downtown Sarasota. Local produce, plants, prepared foods, artisans. Enjoy more than 70 vendors! Rain or shine. 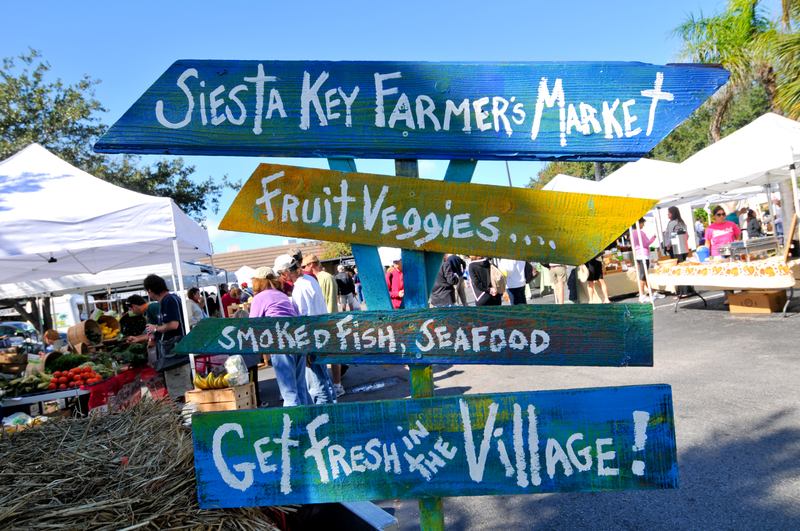 December 1st and 2nd, 11am-6pm, "Siesta Beach Seafood and Music Festival". Enjoy fresh seafood cooked up on site, drinks, arts and crafts, and live music from local bands. General admission $5, children under 12 admitted free. December 4th and 5th, 7:30 both nights, "The King and I". Breathtaking presentation of Rogers and Hammerstein's musical, featuring beloved songs such as "Shall We Dance", "Getting to Know You", and "Hello, Young Lovers". Ticketed event. December 7th, 6-9pm, “Music on Main". Free event. There are food and drink vendors. 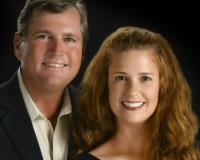 Come and enjoy live music for a great time on charming Main Street in Lakewood Ranch! Bring a chair. Dogs welcome but must be on leash. No coolers. December 7th, 5:30pm-9pm, "Holiday Night of Lights". Special performance at 5:30, followed by the Annual Christmas Carol Sing-a-Long at 6pm. Have your photo taken with Santa! There will be a tree-lighting ceremony, too! Surrounded by boutique shops, fabulous restaurants, St. Armands is a great place to kick off your Holiday Season! (If you plan to dine at one of St. Armands' restaurants during this event, reservations are recommended). December 13th, 20th, 27th, 5pm, "Deck the Halls at Ca'd'Zan". Beautifully decorated for the Holidays, Ca’ d’Zan will be open during special extended hours for you to enjoy a self-guided walk-through of the first floor. Tickets $15. Included with Art after Five Admission. Call for further information. 941-358-3180. December 17th, 6pm, "Ringling By the Bay". Live music and dancing. Food and beverages available for purchase on the bayfront. Music by "Big Night Out". Admission $15, $5 for members. Very popular event. It is recommended to purchase tickets early. December 19th at 7:30pm and December 20th at 2pm and 7:30 pm, "The Sound of Music". The spirited, romantic and beloved musical story of Maria and the von Trapp Family will thrill you while you enjoy the musical score, including "My Favorite Things", "Do-Re-Mi", and "Edelweiss". Ticketed Event. December 20th-23rd, and 26th-30th, 6-9pm, "Lights in Bloom". The beautiful Marie Selby Botanical Gardens will light up the holiday season with over a million lights. Stroll the magical garden paths filled with beautifully lit flowers, along the bayfront. Children can enjoy arts and crafts. Food and drink available for purchase. Live music. Admission: Members $20, non-members $25, children 5-12 $7, children under 5-Free. December 21st at 3pm and 7pm, "Moscow Ballet: Great Russian Nutcracker". Ticketed event. December 22nd, 6:30pm, "Rudolph the Red Nosed Reindeer: The Musical". See all of your favorite characters as they come to life in Rudolph the Red-Nosed Reindeer: The Musical. "It’s an adventure that teaches us that what makes you different can be what makes you special." Ticketed event. December 31st, "New Year's Eve Pineapple Drop". Beginning at 1pm at the intersection of Main Street and Lemon Avenue with food and live music, the party continues to Midnight with the big Pineapple Drop to ring in the New Year, followed by a spectacular fireworks display! The event ends on January 1st at 1:30 am. Sarasota, Florida (October 2018) -- September 2018 saw quite a few changes in the residential real estate market. Due to the aftereffects of Hurricane Irma in 2017, sales fell in both counties.